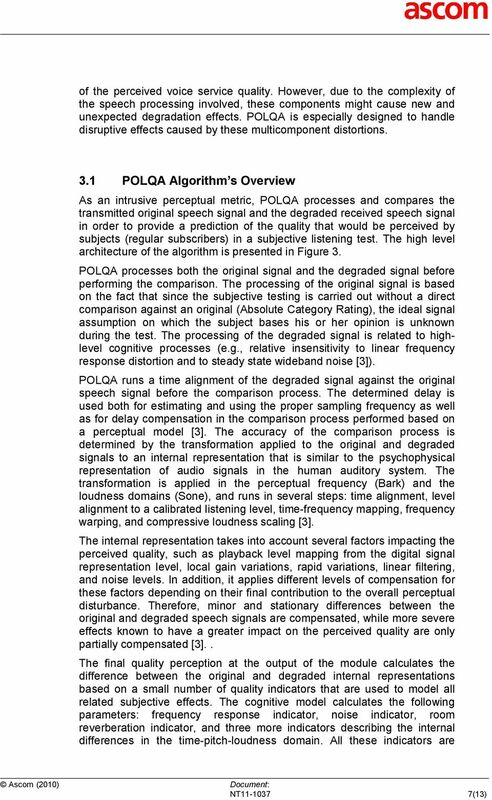 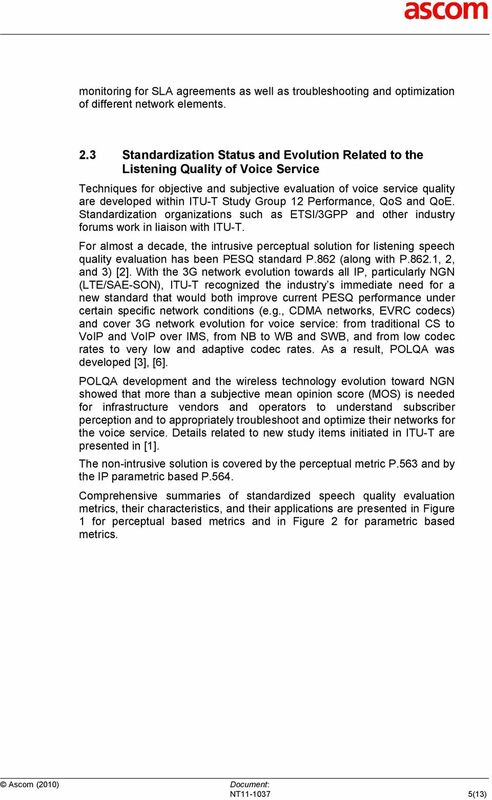 Download "Voice Service Quality Evaluation Techniques and the New Technology, POLQA"
1 Voice Service Quality Evaluation Techniques and the New Technology, POLQA White Paper Prepared by: Date: Document: Dr. Irina Cotanis 3 November 2010 NT Ascom (2010) All rights reserved. 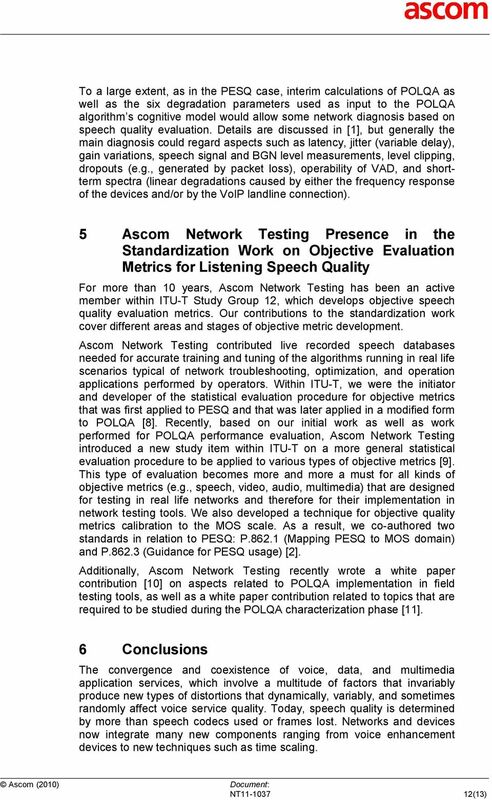 TEMS is a trademark of Ascom. 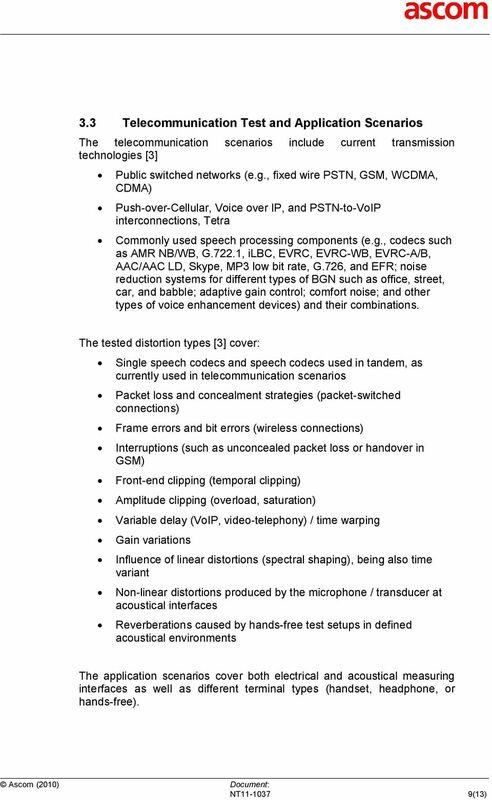 All other trademarks are the property of their respective holders. 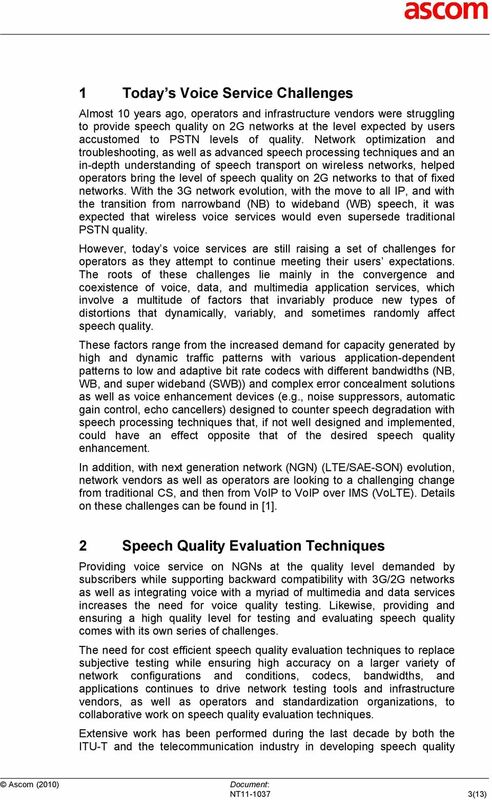 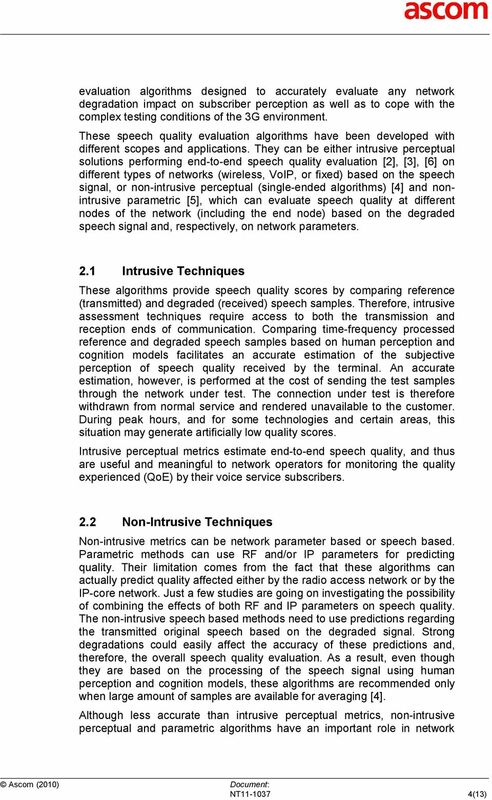 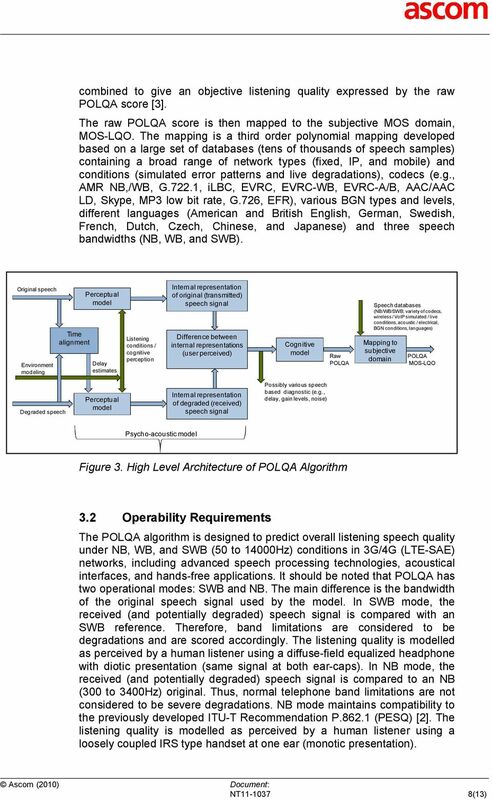 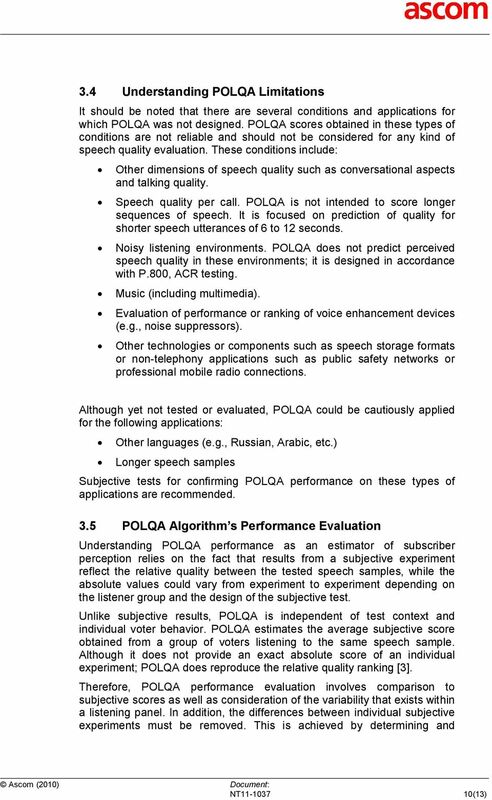 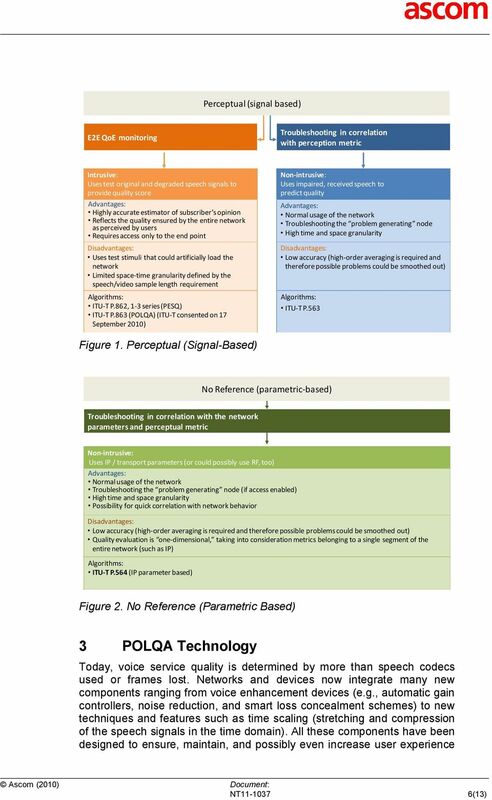 EVALUATION OF VOICE QUALITY IN 3G MOBILE NETWORKS A thesis submitted to the University of Plymouth in partial fulfilment of the requirements for the degree of Master of Science Project supervisor: Dr. 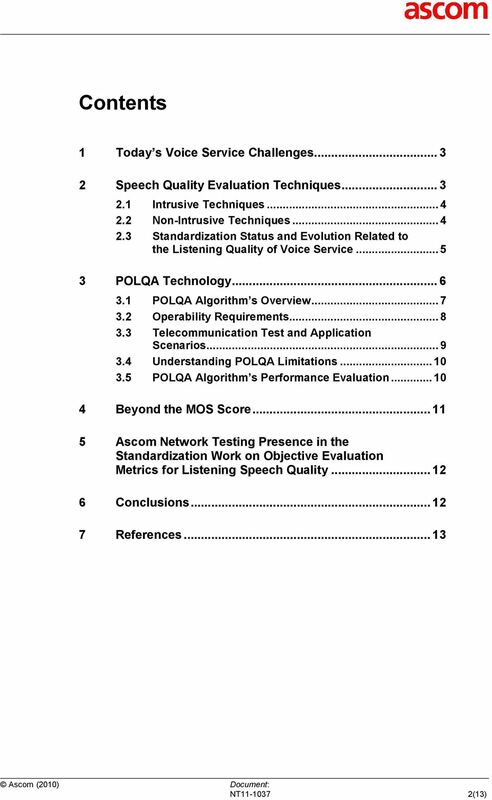 Location of Test: Azimuth Systems Headquarters, Acton, MA Date of Test: August 23 25, 2005 Voice over Wi-Fi Voice Quality Assessment Test A CT Labs Summary Report for Azimuth Systems and Empirix, Inc.
Unified Communications Group Designing for Adoption: Real-time Audio in the Real World Information in this document, including URL and other Internet Web site references, is subject to change without notice.